Be it the rich or the run-down, the shiny new or the crumbling old, the trendy modern or the time wrapped traditional, the public broad-ways or the narrow back alleys, the tourist hangouts or the residential areas, the bustling bazaars or the busy dock, the west or the east, the old city or the migrant colonies, the riverside or the lakeside--in a city of 4.5 million residents the presence of the ubiquitous fhuchwalla with his mobile stand is a standard feature. Last summer we held a fuchka party in our home. 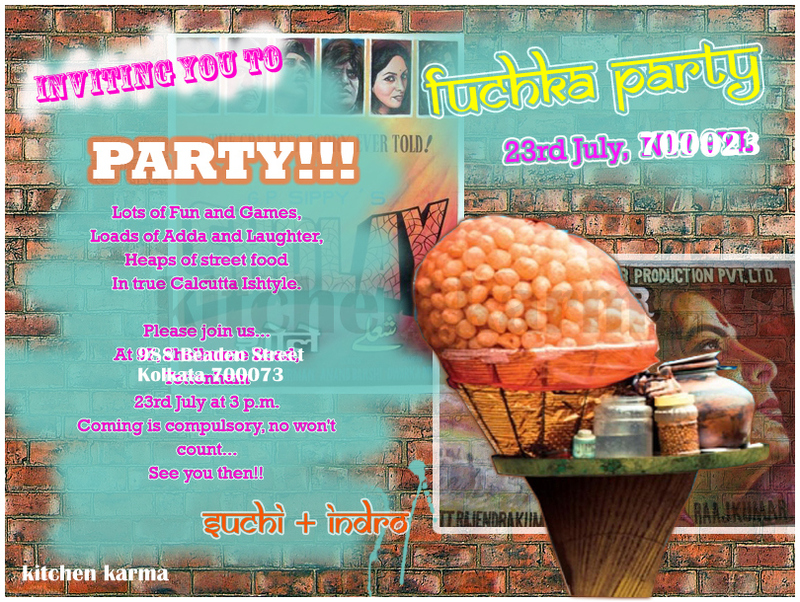 Sharing with you the invitation to show a mobile fuchka stand. He is the man who sells the fhuchka, an immensely popular Kolkata street food. It is a food of extremes, it gives you immense pleasure yet makes you cry with the sharpness of its taste. Its a passionate food, not for the prim or the proper, or the fastidious or the finicky. Its a food which involves all five human senses. Lets just say it's a food which can be compared with the city of Kolkata-- its irresistible, its surprising, it packs a punch yet it is humble, its common, its everyday and its cheap (or used to be). Mostly you would not have to walk more than a 100 yards in the city to find a fhuchkawalla ready to serve you. What kind of food is this puchka? A crisp little puffed wheat ball dented in the middle, stuffed with potato filling, dipped in tangy tamarind water and served to you in a little bowl made of shalpata/dried leaf. The style of eating this is also pretty interesting. The phhuchkawalla stands in the centre, while the customers (a comfortable three to a jostling five or six) make a semi circle around him, he hands them each a leaf bowl, then proceeds to mash potato, add boiled yellow grams/kala chana, chillies, cilantro, lime juice, taramind pulp, rock salt, red chilly powder and roasted cumin masala. You can tell him how to you want it---really hot, less hot, really tangy, less tangy, more green chillies or less red chilly powder...the list goes on and on. While he is fixing this the air is filled with an awesome smell of rock salt, lime, cilantro, cumin masala, tamarind and the anticipation is high. Once the mixture is ready to each customer's satisfaction (he often divides the potato mix into small proportions catering to each of his customer's individual preferences), he takes these little wheat balls, dents them in the middle, stuffs in a little potato mix, dips them in pre-prepared tamarind water and puts them in each customer's bowl. He works really fast, he moves onto serve others while you finish yours, and then he comes back to you with the next one. The fuchkawallas often work so quickly, that often it is difficult to keep pace with them. When the customer eating the puchka first puts the wheat ball into his/her mouth, it is filled tangy tamarind water, then once s/he bites into the ball, a host of tastes hit at the same time-- the crunch of the crispy wheat ball, the saltiness, heat and sourness of the potato masala, terrific heat from green chillies, tang of lime juice et al. When I was young we could get 10 puchkas for INR 1.00. Now it has increased to INR 10.00 for 10 phuchkas or less. Well just about everyone in the city-- the school children after school, the housewives out shopping, couples out on dates, friends out to have fun, the tourists, the college/university students while planning a revolution to do away with the bourgeois, the poets and cine-lovers hanging out in Rabindrasadan, the dreary office workers while returning home late in the evening. Men, women, the young, the old, the vegetarians, the non vegetarians, the rich, the poor...If they feel shy eating it out in the streets, they go to fancy restaurants and order fuchkas where the tamarind water is made with Swiss mineral water. It is served in a regular plate and not even one tenth the fun. 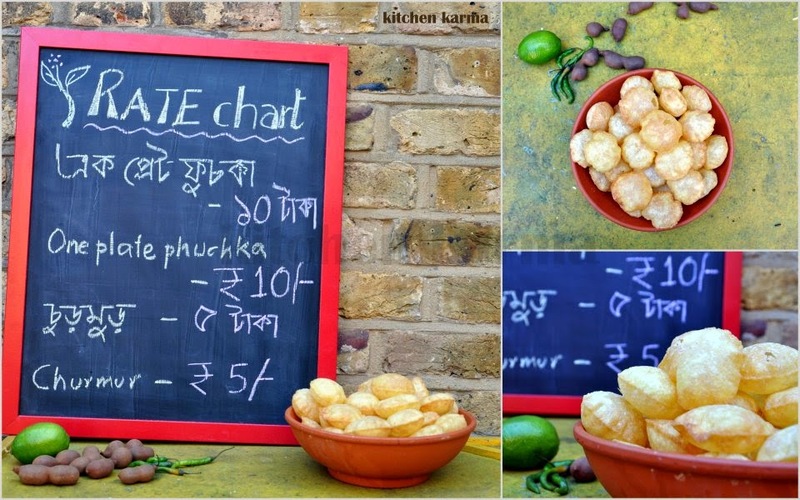 Puchka has even weaved its way into the illustrious wedding menus of Kolkata. Usually a fhuchkawallh stands in one corner serving guests before they hit on the kebabs, biriyanis, fish fries and the desserts. Away from Kolkata, I satisfy my craving for phuchka by making it at home. Its really simple, let me share with you how. Juice of a lime, keep another lime or two ready, in case you want more tang! I definitely do! First the tamarind water, dissolve the tamarind in the water, a little pulp will settle at the bottom of the water, let it be. Add juice of half a lime, throw in the lime skins (they smell heavenly), add about 2 heaped table spoon of rock salt and roasted cumin masala each, red chilly powder according to your heat tolerance, few pieces of green chillies and handful of chopped coriander. Mix everything and taste. If needed you can add more lime juice, chilly powder, salt, masala etc. The potato mix: Add 2 heaped table spoons of roasted cumin masala, red chilly powder and rock salt (both according to taste), scoop out the tamarind pulp from the water and add that too, squeeze in juice of half a lime to the mashed potato and mix really well. Then add the yellow grams, the remaining coriander and green chillies and mix again. Taste it and adjust the balance. Time for assembly-- get the puchka shells, tap them lightly, some may break, just throw those into the potato mix, stuff the balls with potato mix (ideally one third of the ball should be filled, this again depends on the eater's preference), dip it in water and eat. Some people prefer it without water, some people love drinking the water on its own. I like eating it in a bit of this and that way. P.S. More on the joys of phuchkka here. P.S.S. In this post I have used various spellings of fuchkas, actually there is no standard English spelling, so tried on different combinations, sorry for any inconvenience caused during your reading. P.S.S.S. 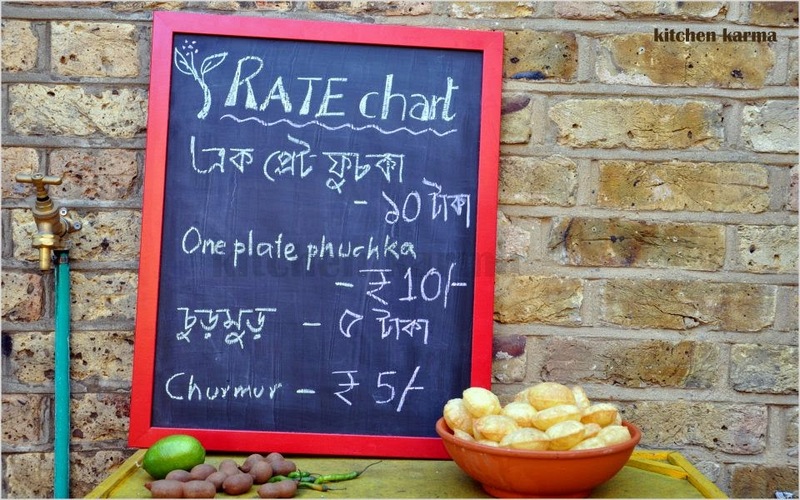 In the rate chart photograph, apart from English, Bengali script is used. P.S.S.S.S. I have got awards from 5 of my blogger friends, will post about them sooon-ish. P.S.S.S.S.S. This is my entry to Spice Foodie's YBR March. Have a great day, till next time. I love this. I think this can pass off as a national snack. Wish i lived closer to you... You make such yummy stuff. wow very tempting and great presentation !! really looks awesome !! Awesome presentation, wish could pick one right off the plate..
would love to grab that plate.. looking delicious! Hi Suchi, lovely posting and very interesting. And I have not eaten this snack. The puchka shell look so puffy and tempting. I like your presentation, look beautiful. Thanks for sharing this interesting puchka. I like your invitation card too, very creative. I loved your idea of a fuchka party. I've had them in many cities/restaurants/roqadside stalls (called as golgappas/panipuris/batashe etc) but they were not the same as those sold by the roadside vendors in Kolkata. One of our favorite fuchkawallahs used to be the one standing opposite Gangaur restaurant in Russell Street. You have gone to great lengths to describe the phuchka and its making. Wow! And the photographs are amazing. Just drooling over the clicks,yummy tangy combo..loved it!! I am not surprised that this snack is popular in all parts of India even if it has different names. I can have this anytime, without counting! My mouth is watering right now. I so want to eat it now. Your recipe is wonderful. And I really like your style of writing and the way you describe things so beautifully and in such detail and by bringing out the story behind it. Yummmm!! These look so amazing. I've had pain puri before, which is similar but doesn't have that incredible stuffing. Delish! WOW- loved this! Wish I could taste it, you made it look and sound so fantastic! Oh! So lovely! and excellent presentation! I love them!!! thank you so much for sharing this recipe, your photos are amazing too my friend! darun clicks... probably the only Bengali word I know and most apt for your post! I love it! I've never seen this before but it looks so good. So interesting and colorful. I can only imagine how wonderful it tastes. I need to try making this. Thank you for sharing this unique dish. Yummy! Reminds me of pani puri. Your clicks are always fantastic! I love the way you have shown the steps, in such detail. 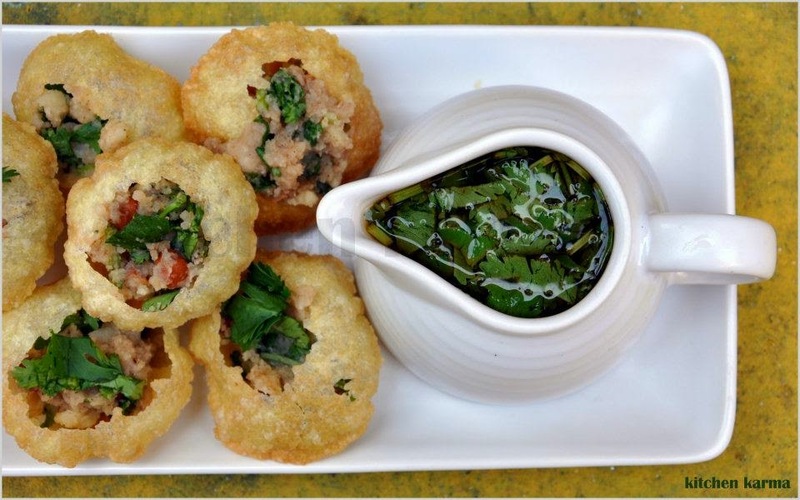 I love this which we call pani puri in Mumbai. Never had it with a potato filling before. Speciality of Calcutta. Looks interesting and very delicious! Next time I'm in London, I'm going to ask for an invite and get you to make these!!! Those cases are similar to puris, I guess? I'm pinning this on the to do list! Looks very yummyyyyy n ur pictures are really inspring n tempting for foodies like me!!!! the paani puri of mumbai!! Looks mouth watering. We started getting some decent ones in Bangalore as well. Lovely! Mouth watering fhuchkas and love the way you described these fhuchkas. Guessing its very similar to the paani puris as well! What a delightful snack? I think it's just perfect meal! I just drooled looking at your gorgeous styling and the chaats!! Gimme some!! What's phuchka to you is Golgappa in my hometown Lucknow. I could almost taste the tangy water in your pictures. There we'd be, tears in our eyes from the sharp spices yet asking for more. Oh Suchi...it's mouth watering indeed! 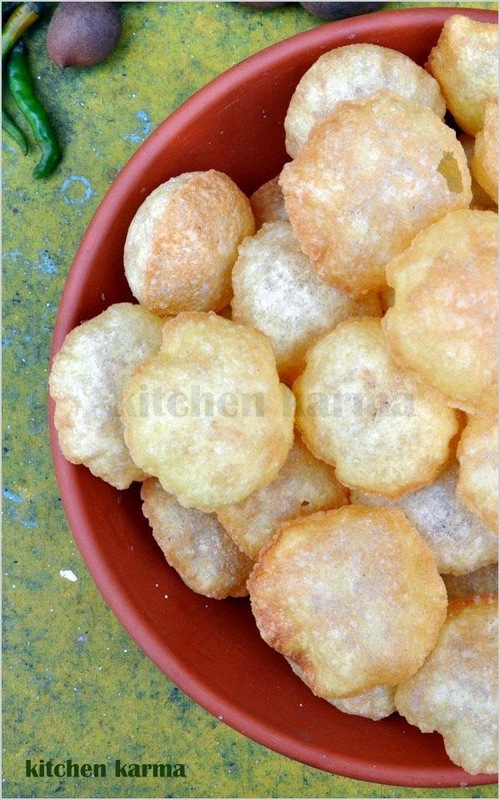 I try to stay away from pictures of the Paani Puri or fuchka as you call it because it does nothing but multiply my yearning for it manifold. But with the detailed steps you have mentioned, am going to try making it at home. What I hate is that - no matter how much effort I take - the taste and sense of satisfaction that you get from the street vendor - what we make at home doesnt do justice to that! I loved the way you defined the fuchka wallah.... I am a Bengali and love fuchkas more than the panipuris and gole gappe's. 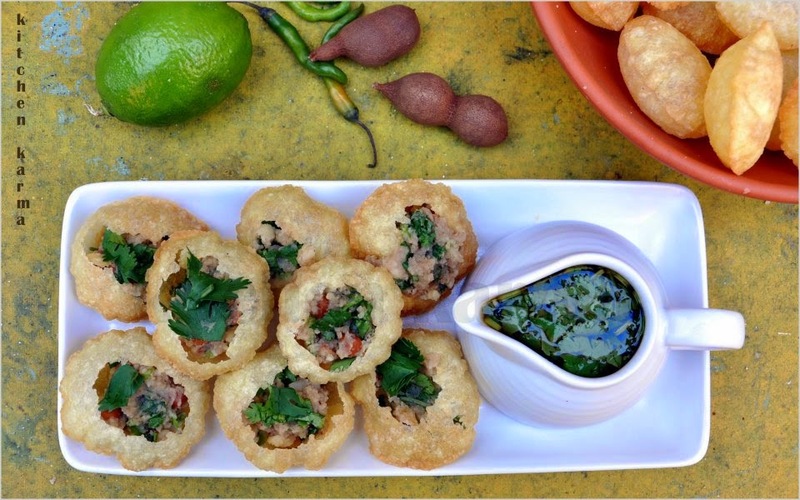 I'm a sucker for chaats and pani puri's one of my fave. You pics are too tempting, I feel like having some now! I have been reading about street vendors a lot these days. It is sad that the Dallas/Ft Worth area does not even allow them. Not sure why. It is amazing to see what the popular street food is there. It looks healthy as well as tasty! Also, does not seem to look like quick prepared or "fast food". I am saving this recipe, especially knowing that there is not a talented street vendor preparing this right around the corner. Enjoy the day! I love the street vendor,,,the snack is very interesting,something that I never had before,sound really yummy snack !! Super pics. Super text. Drooling. No need or ability to comment, just drool. Loved it. Suchi look nice, really nice and I love your pictures!! Oh my gosh, those are amazing! I want to be invited to this party--I am drooling just looking at them. Let me just reiterate here by saying that the best food comes from those very humble street vendors......your rendition is no exception, just beautiful! 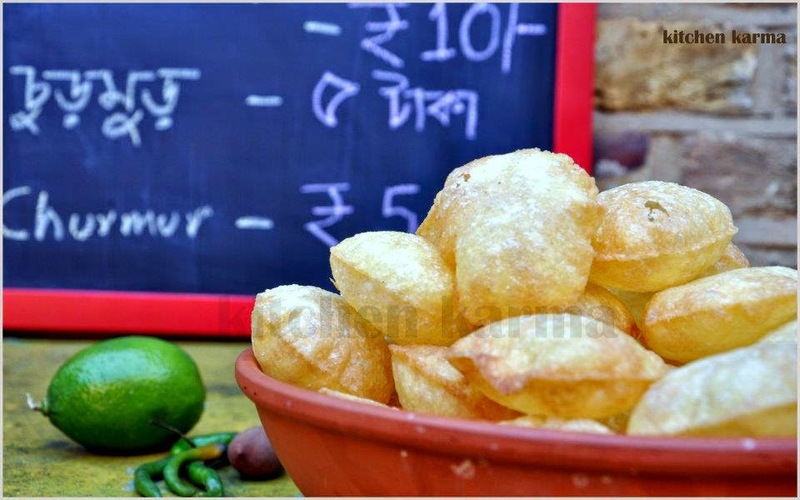 Suchi - I love to read your posts, call it Fhuchka/puchka/gol-gappe/panipuri they are the all time favourite snacks for a majority Indians and each time I eat or read about it time takes me back in time ... lovely pictures !! First time here and you have such a lovely space. What beautiful photographs. The pani puri clicks transported me back in time back home. Hmm...Now I'm craving for that crunch and the mouth-watering tamarind water. Superb write up (it's more than just a recipe) and fabulous pictures, Suchi. how artistic u are suchi, love that chalk-board with the menu written its such a nice touch :) well im always up for pani puri, when can i get some? oh man this looks like an amazing snack! i need to try this sometime! Oh wow..this is such a scintillating post. Lovely pictures. Yumm. Love these puchkas! !They looks so so delicious and appetizing :)Always a great party food! Wow...looks tasty!!! 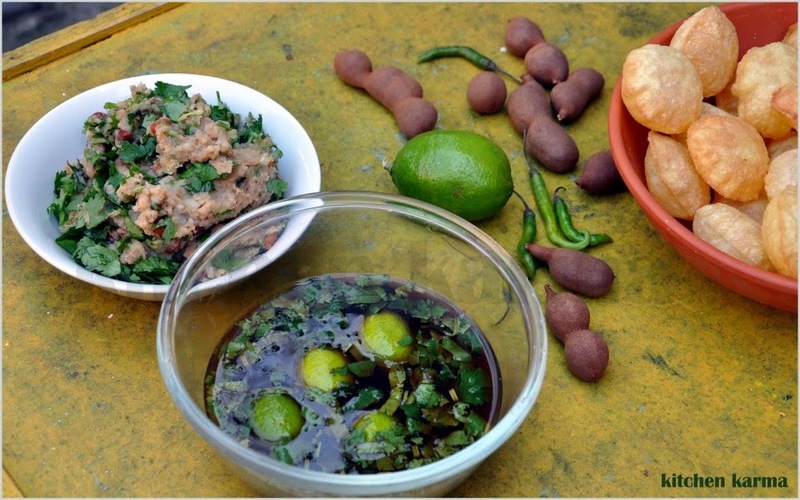 One more form of fhuchka is known as paani poori down south..love eating them. wow interesting ! almost like pani puri of mumbai ! but Ingredients are a little different. Cool..... and nice photos I must say... the signboard and the calligraphy ... excellent way of presenting. most interesting,post about street food i have ever seen. assume you're an expert on this subject. Well with your permission allow me to grab your RSS feed to keep updated with forthcoming post. Thanks a million and please keep up the gratifying work. My snack,my lunch and my dinner and can be my breakfast too...just can't resist those street delights everytime I visit Kol. What a wonderful recipe!! It's been years and years since I have had one of those....tried some in Vegas recently at a restaurant. It was quite good, bit zip compared to the real thing. Thanks for posting this. Very informative. Love the details you have presented in this post. I once had plans of eloping with a phuchka wala. aaah phuchkas aka pani-puris for mumbaities like me :) love love love them to death!! great post n excellent shots! i love the serving presentation idea. new reader to your blog, hope we can follow each other. hi,very tasty,crisp and popular edible! it is known as golgappa in UP.in summers when one is on the road and very thirsty,this item gives great relief..try this summer. kolkata phucckha is so addictive!!! 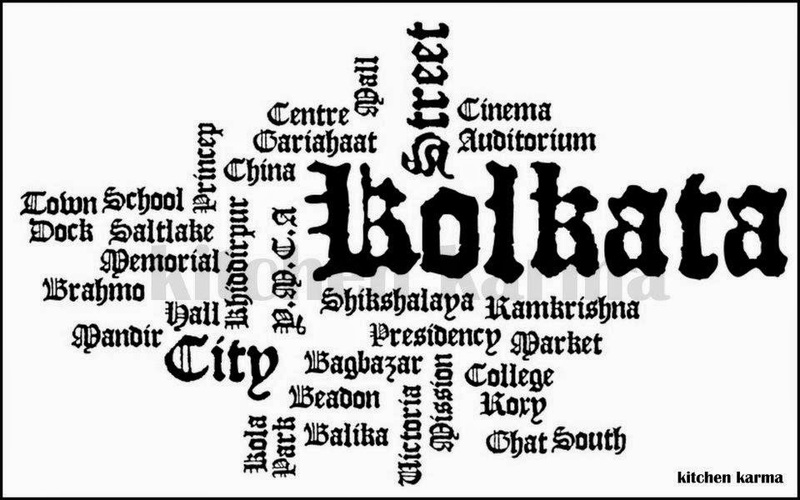 whenever im in kolkata, I have around 30 puchkaas in one single session!!! and i have many such sessions! !